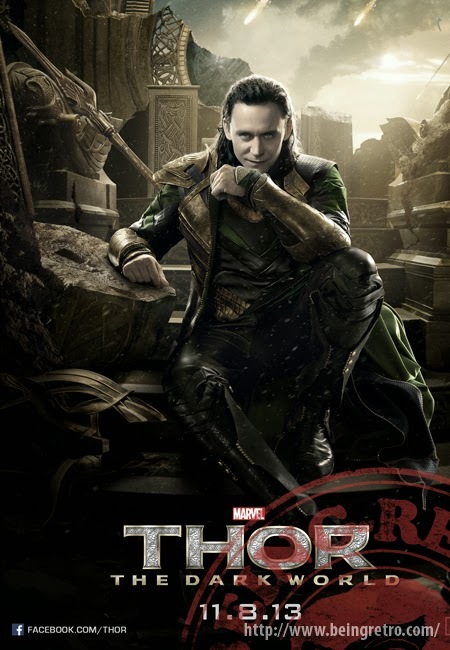 Tom Hiddleston as Loki: Thor's adoptive brother and nemesis, based on the Norse mythological deity of the same name. About his character's evolution from the film Thor, Hiddleston said, "I think the Loki we see in The Avengers is further advanced. You have to ask yourself the question: How pleasant an experience is it disappearing into a wormhole that has been created by some kind of super nuclear explosion of his own making? 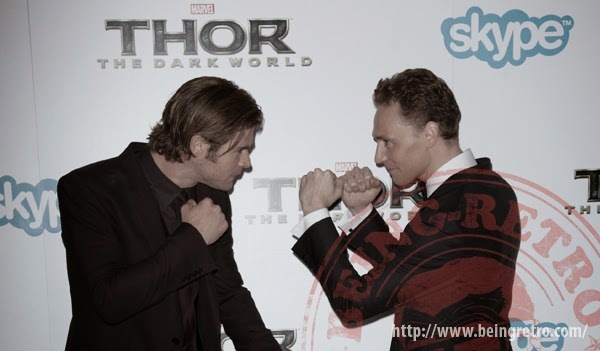 So I think by the time Loki shows up in The Avengers, he's seen a few things." About Loki's motivations, Hiddleston said, "At the beginning of The Avengers, he comes to Earth to subjugate it and his idea is to rule the human race as their king. And like all the delusional autocrats of human history, he thinks this is a great idea because if everyone is busy worshiping him, there will be no wars so he will create some kind of world peace by ruling them as a tyrant. But he is also kind of deluded in the fact that he thinks unlimited power will give him self-respect, so I haven't let go of the fact that he is still motivated by this terrible jealousy and kind of spiritual desolation". And he changes yet again in Thor II. Which we just watched again this weekend - awesome!! Hiddleston is so awesome and I love how he really "gets" his character instead of just making him a generic villain. I know it's almost cliche now to love Loki, but he really does steal just about every scene he's in in the films. Great character, great actor. I realy loved him in Thor 2. Of course he is british, and we all know the best baddies are British! I agree with the others. He was even more awesome in Thor II. He's not a regular villain and I kind of like his personality. Tom Hiddleston may get me to watch ONLY LOVERS SURVIVE. His Loki is such fun to watch -- though I do not forgive him killing Agent Coulson! Ah, Loki. Delusional evil god. So awesome. So brilliant. I will never forget his speech to BW while on the hellicarrier.